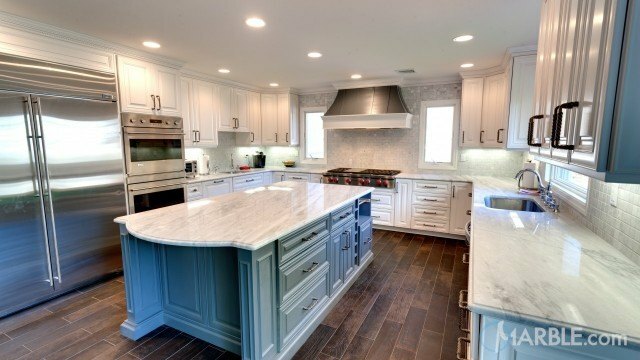 Classic White Quartzite is a stunning white quartzite with areas of grey highlights and occasional dark veining. 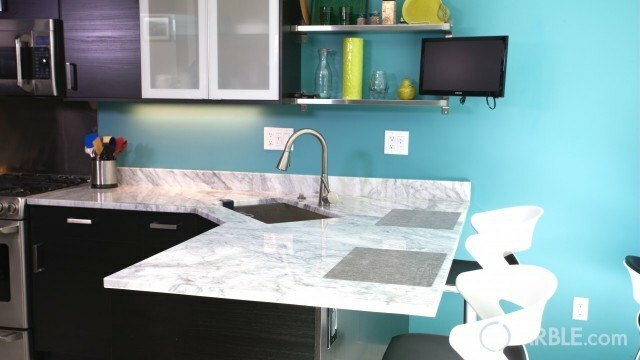 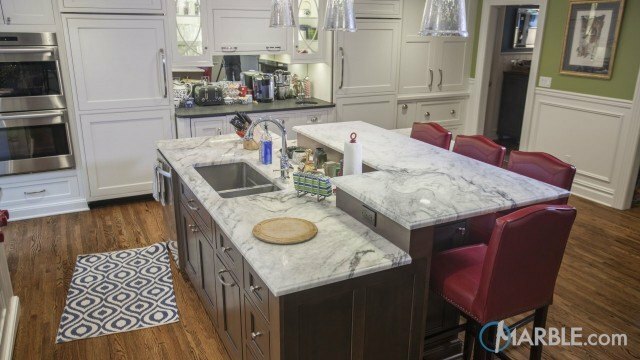 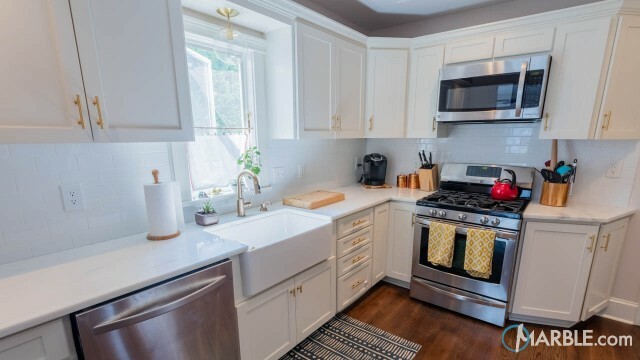 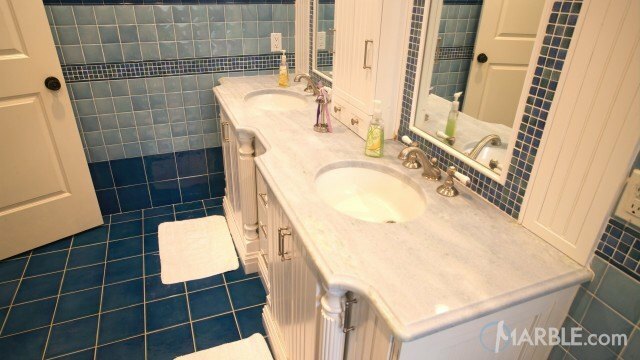 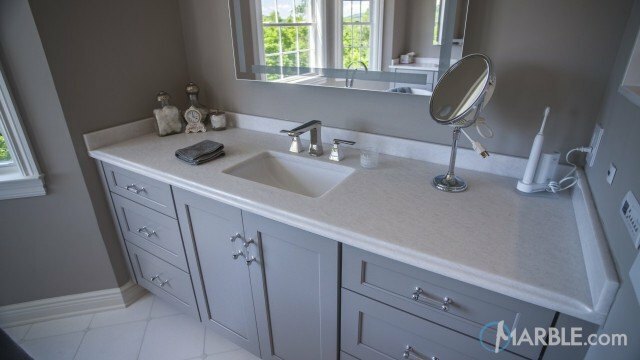 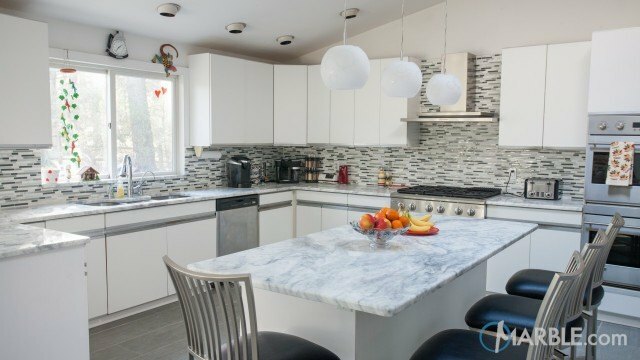 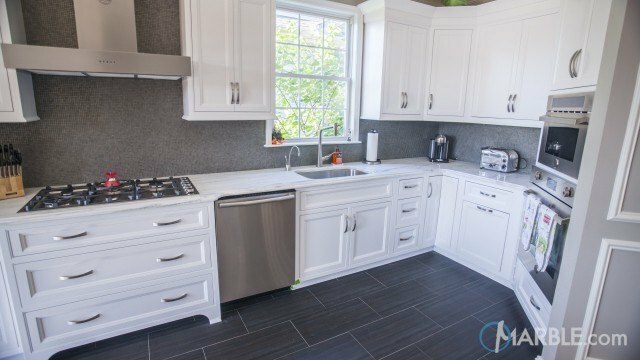 Many designers and home builders use Classic White Quartzite as a more durable alternative to the classic marble look. 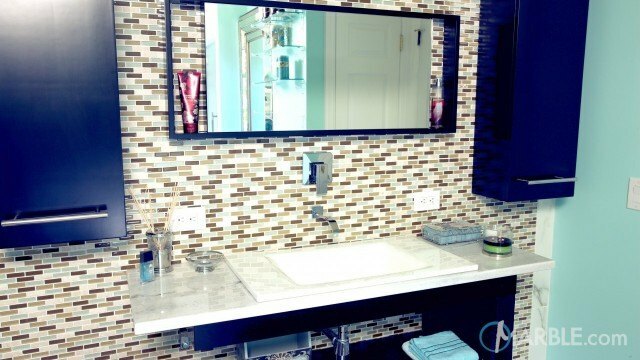 This stone has recently become very popular due to its adventurous, alluring and elegant qualities.